Workshop Session | Thursday, June 28 | 11:00 – 11:45 a.m.
Digital business transformation is happening all around us – think Uber, AirBnB, Alibaba, and Facebook. While the success of these organizations could be attributed to innovative business models or technology, the real driving force behind these success stories is talent – talent with skills in business, new technologies like Cloud, IoT and automation, and collaboration. How can your organization cultivate the talent needed to accelerate digital transformation? In this presentation, Tejas Vashi will demonstrate how the best kept secret in digital transformation is people and how with the right talent, your company can leverage digitization to achieve business success. He will also share real-world examples from Cisco of how this is being implemented. The industry impact of business transformation. Key skills your workforce needs to ensure successful business transformation. How organizations can build the talent they need. A technology industry and Cisco veteran, he has seen firsthand the effect that technology can have in driving business growth and is considered a thought leader in learning as it applies to business transformation. He believes education is essential to activate new technologies and has devoted his career to redefining talent enablement for today’s digitized world. 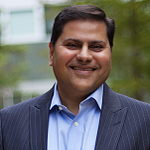 Prior to joining Cisco, Tejas gained broad experience in the industry. He worked in design, testing and quality engineering capacities, and he directed manufacturing projects and led product marketing efforts. Throughout his career, he’s demonstrated an entrepreneurial spirit and a passion for leading business growth and inspiring innovation. In his time at Cabletron Systems, a networking provider, he demonstrated this spirit by expanding the company’s footprint into Asia-Pacific. At Cisco, he helped integrate optical technologies into high-speed data networks to create a new line of business for the company. Tejas holds a Bachelor of Science in electrical engineering from Drexel University and a Master of Business Administration from Temple University in Philadelphia, PA.